For those tertiary trusts wanting/needing to refer patients onto the Neuro-Oncology MDT meeting held at Plymouth Hospital NHS Trust on Thursday mornings at 0830. Please complete the below MDT Proforma and submit it via email, using a secure NHS.net account, to rk9cancerservices@nhs.net prior to the final agenda being sent out at 10.00 every Wednesday. 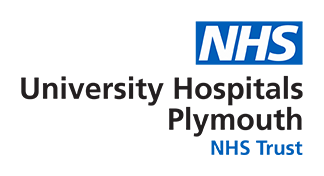 On May 21 2018 University Hospitals Plymouth (UHP) implemented the national optimal lung cancer pathway with the approval of the LMC and CCG. The pathway was also presented for discussion at the GP Cancer Evening event in 2017 and was supported by those GPs present. The benefit for patients is significant as we will be aiming to diagnose or rule out lung cancer in 3 days instead of weeks thus improving clinical outcomes for patients. Please consider in any patient that you are requesting a CXR for when you think there may be a lung cancer and they meet the nice guideline referrals. Don’t wait for a CXR result first. To achieve this, GPs will need to request a CXR on the specific suspected lung cancer pathway through ICE. A request for a CT scan will be automatically generated and actioned by the reporting Radiologist where appropriate. To access the new pathway in ICE, please navigate to the 2WW tab and select Suspected Lung Cancer. Whilst we understand the clinical responsibility is retained by the GP the Trust will manage the patient. Patients will need to come into the Derriford Hospital x-ray department (x-ray west) between 9 and 1pm (They do not need to pre-book their slots as this is a drop in service between the times above). The CXR will then be hot reported and a CT (if required) will be undertaken on the same day (Day 0), the CT will be reported and reviewed by respiratory chest physicians the next day (Day1) and the patient brought back to clinic (Day2). A navigator will be available to support the patient due to the speed of the pathway and the benefit to the GP is that the patients will have information and support immediately, thus removing delays, patient anxiety and visits to the GP in this period. Patient information to guide the patient through this system is available to print out and should be given to the patient before they leave the surgery. For patients who do not have cancer but require urgent management, they will either be seen in outpatient setting or e.g. if urgent prescriptions are required, a letter and prescription will be sent to the patient supported by a letter to the GP, reducing the need for GPs to prescribe on behalf of the hospital. Please note this pathway is only currently available at Derriford not peripheral hospitals, although we will be hoping to roll out at a later date.